INGOLSTADT, Germany – Not in the showrooms yet, but already an award-winner: the German newspaper “Bild am Sonntag” has voted the new midsize sedan with the four-ring badge the best vehicle in its class and presented it with its “Golden Steering Wheel”. The Audi A4 won through against strong competition in the midsize class. Rupert Stadler, Chairman of the Board of Management of AUDI AG, took receipt of the prize – one of the most important awards in the automotive industry – in Berlin on Wednesday. “This is a great success for the new A4 and the Audi brand, backed by a motivated and committed team,” said Stadler at the award ceremony. Once again this year, the “Golden Steering Wheel” jury, which is made up of VIPs, technical experts and professional racing and rally drivers, had the chance to test out the nominees for themselves. The jury found the Audi A4’s dynamic qualities to be just as impressive as its design, equipment and comfort. With sales totaling 8.5 million vehicles, the Audi A4, including its predecessor, the Audi 80, is the best-selling model in the company’s history. 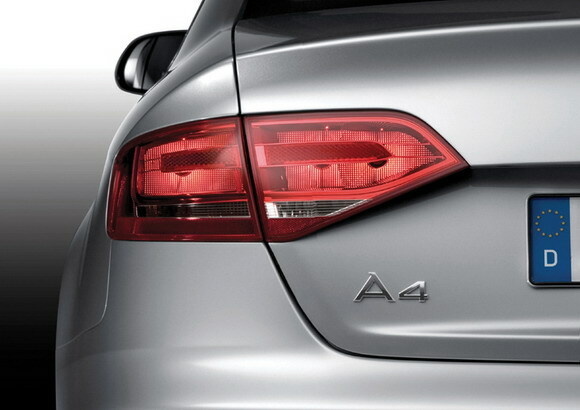 Thanks to Audi drive select and the engines, which all have direct injection, the Audi A4 enjoys a unique technological position in the segment. It will be launched in Fall 2008 in the United States. The “Golden Steering Wheel” has been awarded to the year’s best new car models since 1975. This prize for the Audi A4 is already the 16th win for an Audi. The Audi A6 was awarded a “Golden Steering Wheel” in 2004 and the Audi Q7 followed suit one year later.